SAIPUA: "When you put it on, something happens." "When you put it on, something happens." Man, I'm fortunate to work with some really stylish and classy ladies. 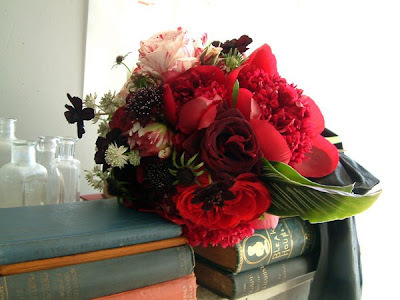 This last wedding was really fantastic, and the bride chose a red and black color palette that made my heart sing after a lot of white weddings this season. 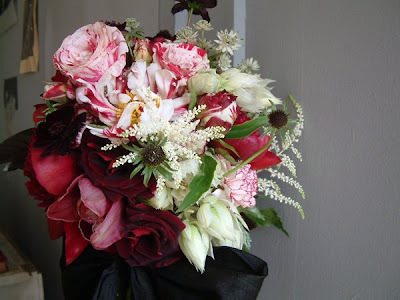 Like usual we used everything but the kitchen sink; red charm peonies, scabiosa, garden roses, astrantia, chocolate cosmos, carnations (! ), blushing bride proteas, astilbe, cymbidum orchids, and probably some other things I'm forgetting.... goosenecks. allium. The bride gave me a wide black sash that matched her dress to tie off the bouquet. Really dramatic and lovely. 'Twas at the very chic soho house. Everytime i go there (which admittedly is really never) I see someone famous. Recently the old DA from Law and Order SVU; Alex. Guess she's not in witness protection after all, cuz the lady was planning a party. 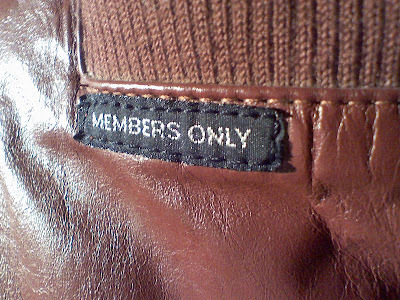 Anyway its a members only club. which makes me think of the Members Only jackets that everyone's dad had in the 80's. Jackets which unfortunately have reemerged as a vintage token of hipster-dom. If I had one I would wear it to Soho house, and when asked for my club card, would point at my breast pockets with the Members Only insignia and do a little wink or thumbs up or something. Yowza - that red is a breath of fresh air. Beautiful and dramatic. The bouquets are stunning! Bravo! wow. just beautiful. that is what i call seriously stunning work. thanks for posting about it! The most amazing flowers I have ever seen! And I had the pleasure of holding the bouquet all night. . . and then a little in the morning when I was forced to put it down! Sarah you are truly talented. Thank you so much for your time and creativity. that smile on your face is pretty funny.